This page is part of my review of the 2011 Zack Snyder movie Sucker Punch. Blondie glances down at an injured and shell-shocked young British soldier in a trench. The Tommy (Eli Snyder) momentarily looks up at Blondie before turning his attention to one of the other girls. We see him more than half a century later, but no older, in a bus station. The horror of trench warfare was hinted at in the WW2 movie, Pearl Harbour. In a scene set before WW2, the father of one of the two youngsters who grew up to fly P-40s and B-25s, explains that he fought the Germans during the war (the Great War; World War 1) and he hopes they never have to see the things he saw. My dad said something similar to my brother and me when we were young (and he was already old) in the early or mid 1960s—the period in which this movie is set. In an ‘animated short’, several of which are supplied on the DVD, a soldier is shot by a sniper. These rough animations provide backdrop storylines not explicit in the movie. 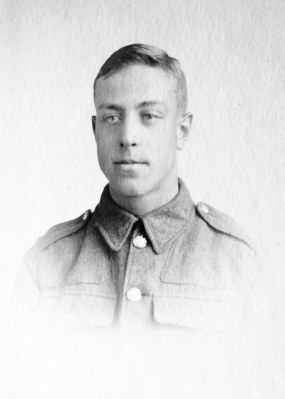 My father was shot through the shoulder and lung when he was a youngster in that war. He had a dent in his chest on one side, where the bullet entered, and a matching dent in the back of the shoulder on that side (the exit wound). I occasionally wondered how the shooter could have been in such a low position to achieve that angle. (I never thought to ask.) The ‘animated short’ titled The Trenches provides a possible answer; a soldier (a German in this case) tops a rise, sees the way ahead is clear and waves his rifle exuberantly, as if saying, “Come on boys!” I can just imagine my dad doing that. (A sniper then pulls his trigger.) The movie also provides, in its action, another likely explanation, obvious in retrospect. Anyone standing on the ground at the edge of a trench, even for a moment, is an easy target for those defending the trench. My dad went on to become a minister in the Baptist church, among other things. He flew as a passenger with the in-flight refuelling pioneer Alan Cobham. When Sigmund Freud came to England, my dad wrote to him to welcome him in the face of press criticism. (One headline read, This Man is Dangerous.) I still possess Freud’s reply and a photocopy of my father’s original letter—now in the Freud Museum in North London. Political scientist Robert Axelrod used the trench warfare of the Great War as a basis for a theory that improved our understanding of the underlying principles of evolution through natural selection. You hit the ground like the proverbial ton of bricks in those old round parachutes. 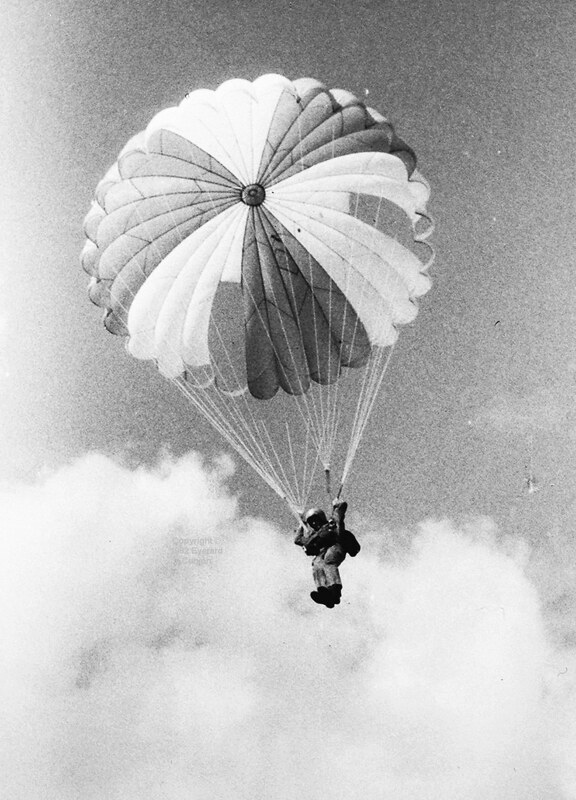 (When I was riding out to the airplane for my first jump in 1978, an ambulance was in the drop zone collecting someone who broke a leg on his first jump.) However, the girls in this movie go one better! Scott Glenn, who plays a series of linked characters in Sucker Punch, ironically played John Glenn’s main rival, Alan Sheppard, in The Right Stuff (1983). See my review. The B-25 in the film is missing its starboard propeller. It has a jet engine on that side. The monorail supports are not attached to the ground. Instead, each is supported by three downward-firing jet or rocket motors burning continuously. So, while the train rides on the monorail, the whole monorail floats above the ground. What is Babydoll’s actual name? We see her initial and surname being hand-written (it is barely legible) by her stepfather when he fills out a form in Lennox House. A few streets away (on the Grays Inn Road, I think) there is a plaque at the base of a wall that commemorates the original building there having been destroyed by bombs dropped from a Zeppelin during the Great War. Incidentally, what we were making there (in London in the late 1980s) was a suite of interactive video computer-based training courses (using 12-inch laserdiscs for the video). One of our courseware designers invented the term entertrainment for what we were aiming for. Edutainment was another term encompassing a wider perspective. Sucker Punch is edutainment. 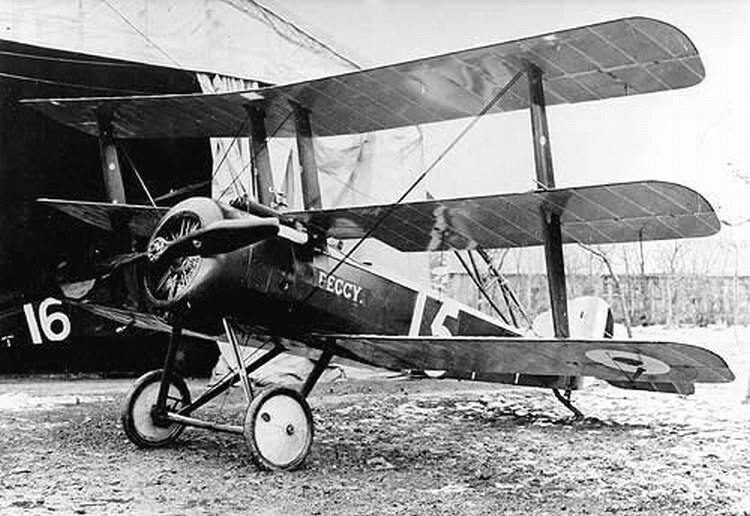 The Sopwith triplane pre-dated the Fokker and is generally regarded as superior. Why three sets of wings instead of two (or one)? The narrower chord of the triplane’s wings allowed the pilot to see round them better. I learned that from a former RAF test pilot who now flies the vintage aircraft of the Shuttleworth collection. He gave a fascinating talk to my hang gliding club in the summer of 2011.